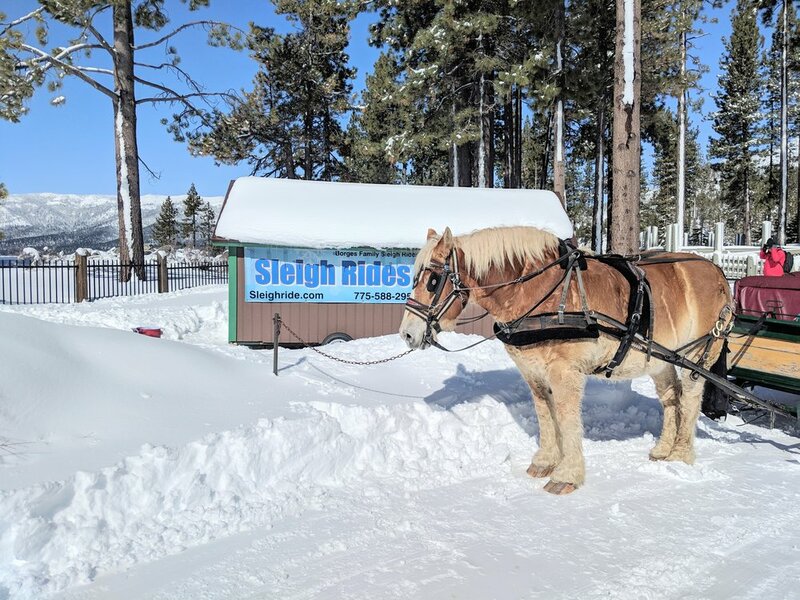 It is not always apparent as to why Weather Conditions such as High winds, Snow Consistency and Road Controls prevent us from operating our Sleigh Rides. We thought to take this opportunity to explain. We have been operating as a Family Run business for over 50 years and if there is one thing we have come to realize… We are so very much ruled by the whims of Mother Nature. 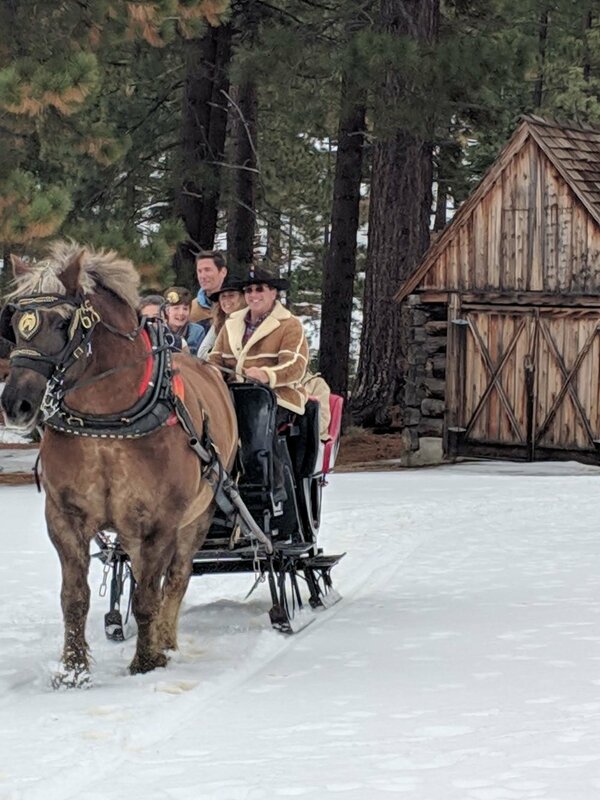 First, we want people to enjoy their sleigh/carriage ride experience, not survive it… This is not a Donner Party Experience! Also, we have the health and welfare of our employees as well as our horses to consider. Safety for our Staff, Horses & Guest is always a Top Priority!! Horses do not like wind…. let me stress… They DO NOT LIKE WIND! Things fly around in the wind, and move differently in the wind and make horrible noises in the wind. Our horses are very well trained, but this type of consistent exposure to stress is not good for them. Snow Conditions for our sleigh rides must be very specific with at least 1 foot of hard cold pack snow. 1- Lake Tahoe is environmentally protected. “Keep Tahoe Blue.” So, Mother Earth, the ground, especially the ground surround the lake much always be covered to prevent damage from the runners of the sleighs. 2- Each of our Belgian Draft Horses are over 2,000 pounds. 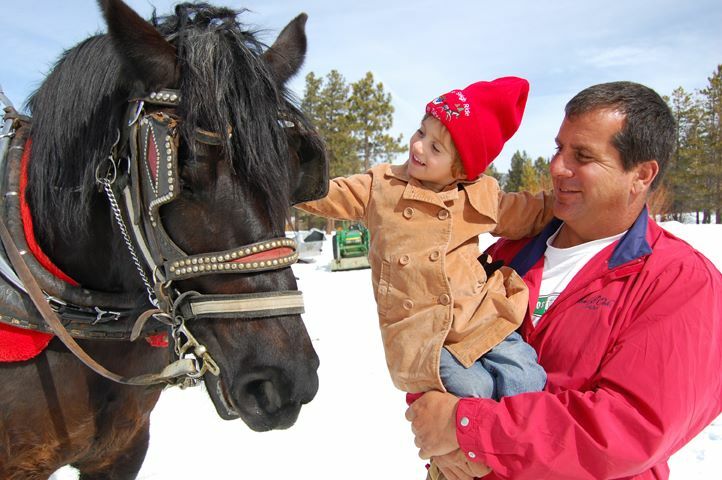 We use these horses because they are strong enough to pull a sleigh with people easily through the snow. There is apx. 28,000 pounds of pressure per square inch in their hooves. This being understood, if the snow is not solid enough to hold their weight they will fall through and can be injured. If we can help it, we will not risk injury to our precious animals. Safety First!! Which leads me to the roads. Driving in snowy conditions can be stressful and dangerous. Each of our drivers are very experienced in driving in the Sierra Mountains of Lake Tahoe. However, even with 4x4 & chains, certain weather & road conditions still prevent trucks with trailers (transporting live animals) from traveling over the mountain passes. And if you ask me… It’s a good thing! Safety First!! We believe we have an exceptional activity. Unique, Nostalgic & so much Fun… Magical, I’ll dare say. But it is difficult at times to always be waiting of perfect conditions. 2019 has been an very stormy winter. Our hopes are that you Sleigh & Carriage Ride Enthusiasts will be patient with us as we do our best to provide this service. Black Beauty, Dwight Borges and granddaughter, Madeline. Winter Weather Alert & Closures, February 25 thru ??? February 2019 is going down the the record books as a Snowy, Cold, Wintery Month! In some area, as much as 20 feet of snow in 1month, 414 inches so far and presently we are at 171% of its average snowfall for this date! WOW! And there is COLD! 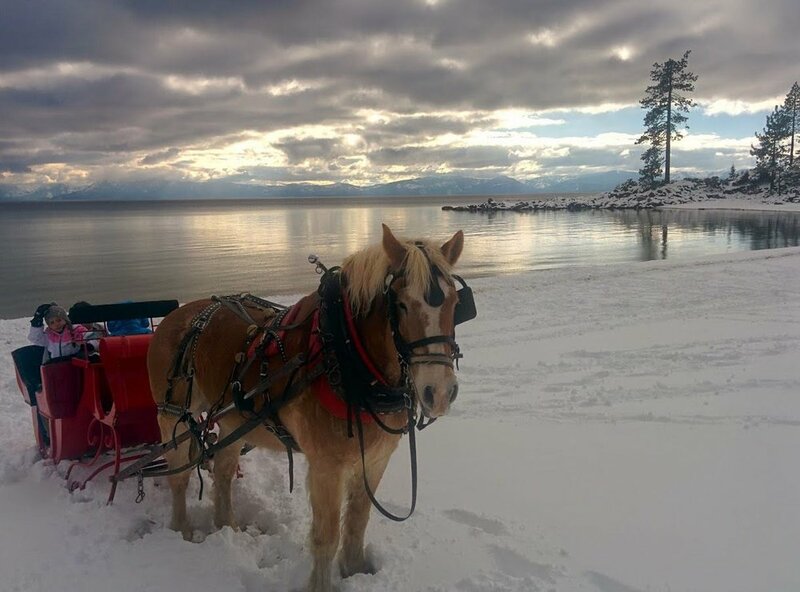 South Lake Tahoe experienced coldest day EVER -13 degrees! This wind is messing up my hair! Friday - Monday; February 22-25, from 11am - 3pm for both locations. Sand Harbor Visitor Center - offers a scenic tour and there are still reservation available online. All rides are subject to snow, weather & road conditions. Please check this site for updated information. Wow! What a Beautiful Winter Wonderland! Mother Nature has been generous will plenty of cold fluffy snow and our amazing grooming crew worked hard to make our trails available. But Space & Time is limited and Not all tours are available. Stateline location will have a soft opening with very limited rides available. Inquirer on-site across from MontBleu for more information. No guarantees. Good Morning Sleigh Ride Enthusiast! The storms have finally pass and we have feet of lovely white, fluffy, cold snow! Thank you Mother Nature!! Now begins the work of cleaning up working areas, grooming trails and allowing CalTrans & NV-DOT time to get the roads safe for Trucks & Trailers. Sand Harbor State Park & South Lake Tahoe, Stateline. ( BTW - Happy President’s Day). We are going to be shoveling, grooming & plan to open up tomorrow, hopefully both locations, just in time for another little ‘Winter Blast’ Wednesday & Thrusday…. A severe Weather Alert has been posted for the greater Lake Tahoe Area with Heavy Snow, High Winds and difficult to IMPOSSIBLE travel conditions. Whoa! Says the horses! I guess we should stop doing the Snow Dance! Heavy Snow, Gusty Winds & Blizzard Conditions forecasted the WHOLE weekend! Hopefully, some ‘ Winter Wonderland’ Sleigh Rides next week…. Reserve now at Sand Harbor State Park!